Apart from one or two places in Mexico, the argan tree grows only in the Souss valley, which lies between Morocco’s High Atlas and Anti-Atlas mountains. It’s a low-growing, thorny tree, which yields a lemon yellow, plum-shaped fruit from the kernels of which valuable oil is obtained. Argan oil is part of the Moroccan way of life. If the kernels are roasted before the oil is pressed out, it’s used for cooking … the best cous-cous and tagine, they say, is made with argan oil, rather than olive or other oil. If the raw kernels are pressed, then the oil is for medicinal or cosmetic use. Mainly, they use it for hair and skin care, and it’s recommended as a sun-screen and for relief from sunburn. Take a walk down any Moroccan beach, and at least one vendor will approach, trying to sell you argan oil. Another of the tree’s properties is that its leaves are irresistible to goats, and they’ve even been known to climb the trees in order to reach the choicest browsing. On reflection, though, any mountaineer could tell you how easily a goat can get into and out of situations denied to us graceless bipeds unless we use fathoms of rope and an expensive collection of arcane ironmongery, so what should be so difficult about climbing a tree? We were staying at Agadir, which stands at the mouth of the Souss valley, and if you think the place looks artificial … it is! The town was completely destroyed in an earthquake in 1960, and completely rebuilt with the tourist in mind. And, it’s rather far from the ‘real’ Morocco, which can only be reached by a bum-numbing bus ride. But, your bum can get just as numb sitting on a beach, so why not? Closer to hand is the city of Taroudante, sometimes called ‘Little Marrakech’, which has most of Marrakech’s features, but is a little more laid back and easy-going. Best of all, I think, was the trip to Tioute oasis, where we were to lunch at the kasbah on an excellent lamb tagine. While we were lunching, a young man called Mohammed presented himself, and said he would show us round his grandfather’s ‘garden’ down in the oasis. ‘Garden’ is probably the right word; garden, orchard and farm seemed to blend into each other seamlessly. And, through it all ran a stream of the coolest, sweetest water. Some of us tasted it, much to the horror of two elderly ladies who had previously expressed disgust at some of us eating our tagine with just bread and fingers, and who were hauling around bottles of water that, at this stage, you could have made tea with. Achmet, our guide, told us about the tree-climbing goats, and we thought at first he was putting us on. But he promised … indeed, he swore to God … that there was a high probability he could show us some before the day was done. And he did; we found some just outside Tioute. Climbing the trees to graze seems to pose little difficulty to the goats. The lower branches droop to only a few inches above the ground, so it’s usually only a short step up or down for them. These weren’t actually the first goats we saw in the trees. We’d already passed several ‘goat-trees’ along the road, but Achmet said these weren’t the ‘genuine article’, because they didn’t get up the trees by themselves. He told us that the goat-boys often hoisted their goats into the trees, so they could request largesse from anyone who stopped to photograph them. It’s an easily detectable deceit, said Achmet. Goats which had found their own way up a tree would move about from branch to branch as they browsed. Those that had been lifted up stood immobile. We passed one tree that illustrated his point beautifully. Not only were the goats standing stock-still, but also were all facing in the same direction. I’ve already posted about this in the main body of the blog, but here’s some pictures I didn’t show. How the animals adapt like the goats I see as a perfect metaphor for travel. Trees, mountains, pastures, city streets. Adapt and take in the best in your environment no matter what! It’s a good simile, Nancy! I suppose, if they hadn’t learned to climb trees, they’d have developed long necks, like giraffes? Amazing pictures! I’ve been to Morocco, but unfortunately, I didn’t make it to Casablanca. A lot of travelers said it was just kind of big city and a bit sketchy but it looks gorgeous in your photos! I think a visit to Casablanca is worth it for the Hassan II Mosque alone. Wow, this reminds me of Morocco. Such great memories for me and such great photos from you, thank you! Marrakesh is not my favorite destination in Morocco, the crowds are too much for me, but there are some very nice historical spots, and Jemaa el Fnaa is absolutely amazing if you like the local food, which I adore! Informative article. I always love the local food and the atmosphere that small towns bring. 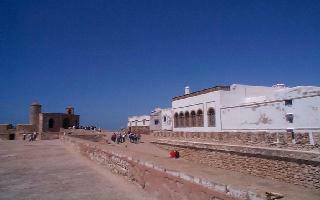 One of my favorite town i would say Essaouira, nice food and friendly people.